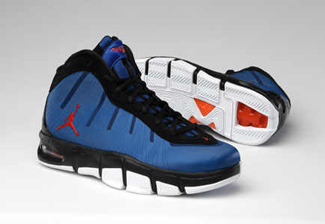 According to different sources, Jordan Brand will be releasing the Carmelo Anthony’s eighth signature shoe later this year, but before that, JB gives us something to be thrilled about with the release of new colourways of the Jordan Melo M7 Advance this month. 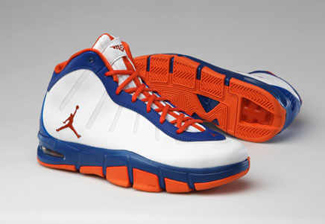 The Jordan Melo M7 Advance, which is a special edition of Anthony seventh signature shoes, is now available in Blue Ribbon/Orange Flash – Black and White/Orange Flash – Blue Ribbon, which was made obviously because of Anthony’s transfer to the New York Knicks. This colourways will be available on a limited basis so don’t dare miss it!